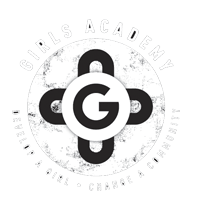 An Academy girl can shape her own destiny, lift up her family, and transform her community. Role Models and Leaders Australia has so far established Girls Academies at 45 schools throughout WA, NT, NSW and QLD to bring about significant change to the lives of Aboriginal and Torres Strait Islander girls. Each Academy is staffed by a minimum of 2 full time mentors who provide auntie and big sister style mentoring and support. Sport, extra-curricular activities, intensive workshops and a structured reward system keep the girls engaged in their education and their future goals. Our program is centred around an Academy room in each school that is open every school day. The Academy room provides a sanctuary for the girls to connect, learn and prosper in a safe and nurturing environment. View our Academies on the map below.